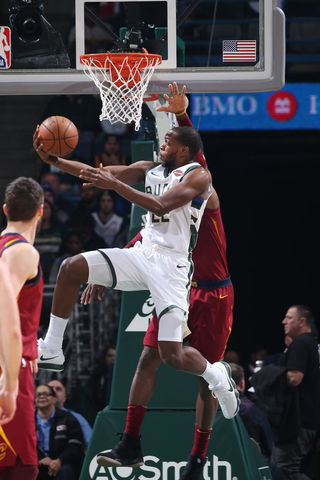 The Milwaukee Bucks dropped their second straight game, falling to the rival Chicago Bulls 115-106 on Tuesday night at the BMO Harris Bradley Center. The Bucks committed a season high 17 turnovers. They were out-rebounded 47-41, which continues to be a problem for the Bucks. The Bulls scored on seven straight possessions early in the fourth quarter, outscoring the Bucks 32-23 in the final period. They never got any closer than six points over the final seven minutes. Giannis Antetokounmpo had 28 points, Erik Bledsoe added 22 and Malcolm Brogdon came off the bench to scored 18 points to lead the Bucks. It’s the second home loss to the Bulls in the last two weeks. The Bucks are back home on Thursday night to play the Minnesota Timberwolves at the Bradley Center.